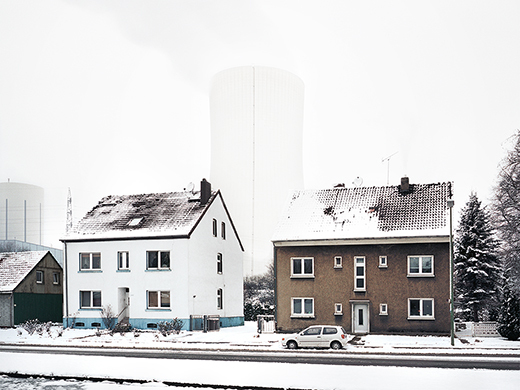 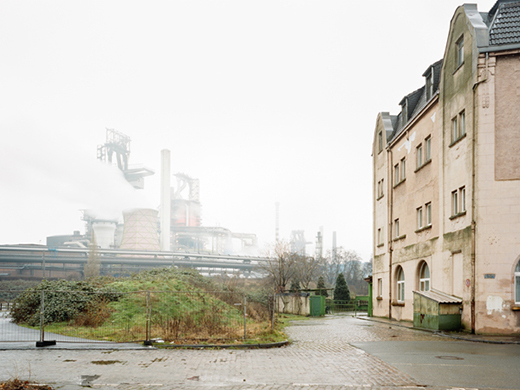 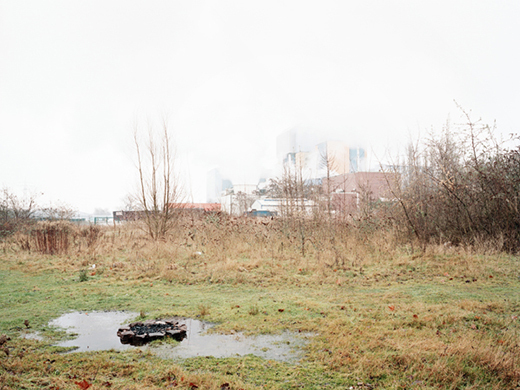 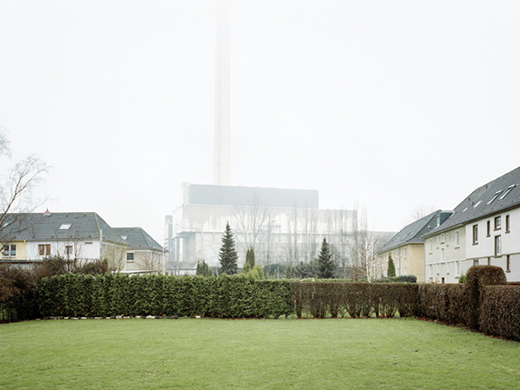 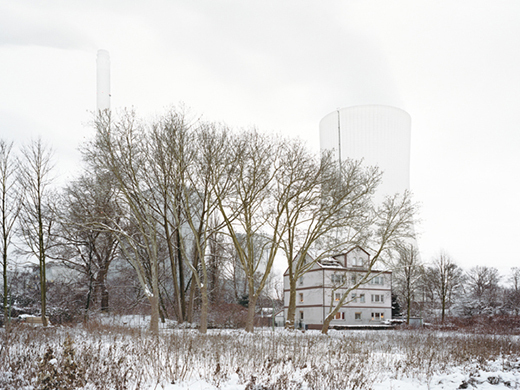 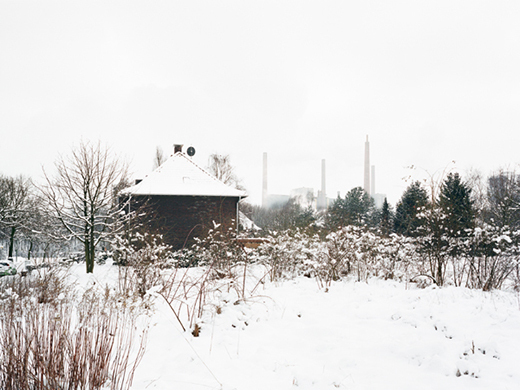 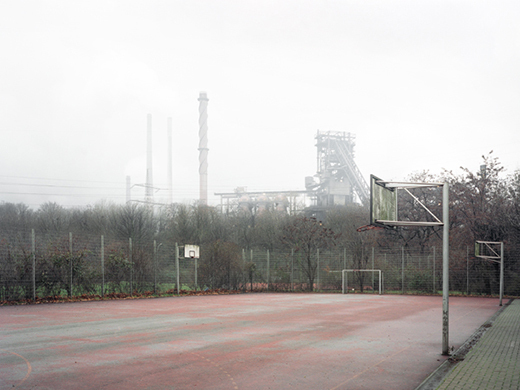 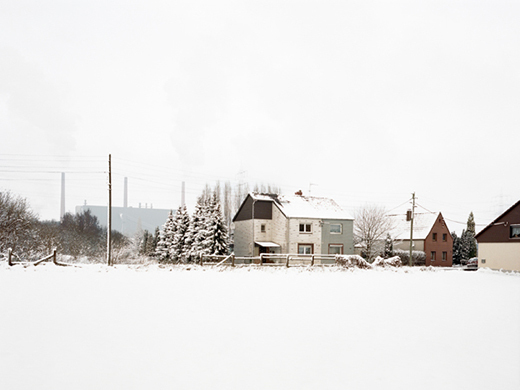 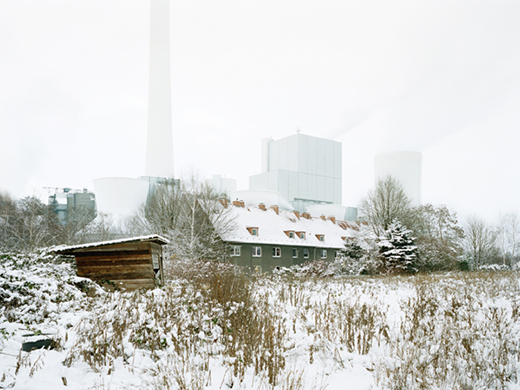 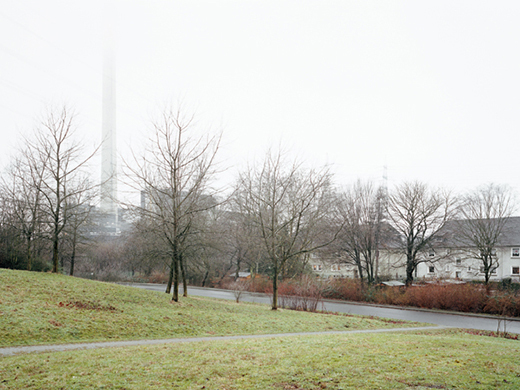 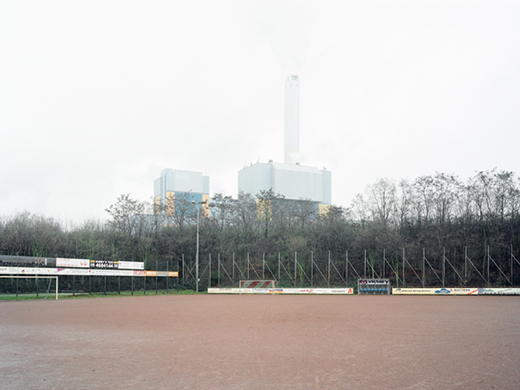 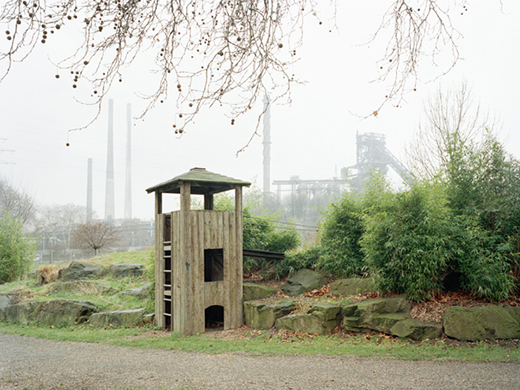 In Diffuse Familiarity (Diffuse Vertrautheit) Daniel Müller Jansen brings together two different cityscapes: industrial complexes and residential neighbourhoods in the Ruhr region. 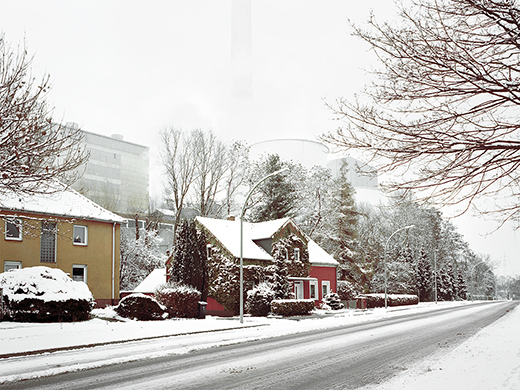 The transport of the images content using two layers enables a direct comparison between industrial and residential architecture. 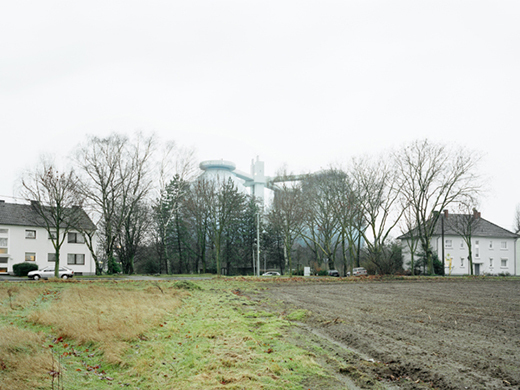 In this image format, industry appears diffuse and foggy in the background, while the residential homes are much more real, colourful and livelier in the foreground.